Montana is known for its diverse terrain from the Rocky Mountains to the Great Plains. 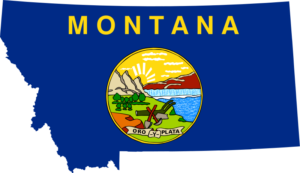 As the 44th most populous state, Montana has a population of 1 million residents. Seniors age 65 and older make up 17% of its total population. Around 201,000 individuals are covered under Medicare (2015, kff.org). Approximately, 69,000 beneficiaries have a Montana Medicare Supplement Plan or “Medigap” policy is (2015, AHIP.org). The most popular Montana Medicare Supplement Plans are Plan F, G, and N (2015, AHIP.org). If you have Original Medicare, know that you have an option to purchase Medigap coverage to help cover out-of-pocket Medicare expenses. Most states, including Montana, have ten standardized Medicare Supplement Plans each labeled with a different letter starting from A through N. Medigap plans have the same benefits for each letter category. For example, Plan F is the same regardless of which insurance company sells it. During Medigap Open Enrollment, insurance companies can not deny coverage due your health status. If you enroll after this period, you may undergo medical underwriting where a provider can deny coverage due to pre-existing conditions or disabilities. To be enroll in a Medicare Supplement, you must have Medicare Part B. We can help find competitive rates and plans in your area. Call us as (800) 750-2407, complete our quote page, or view the link below to request for information.